When throngs of undead monsters are coming your way, you need a weapon with several features to help you be victorious. The Zombie Hunter Hand Axe comes with everything you need to chop your way through a herd of walking dead. Crafted from stainless steel, this hatchet is a tactical weapon that is durable enough to last with you until the end of the zombie apocalypse. The axe features fine tooth serration on its head, giving you the option to saw, and the hook on the back is good for puncturing and dragging. 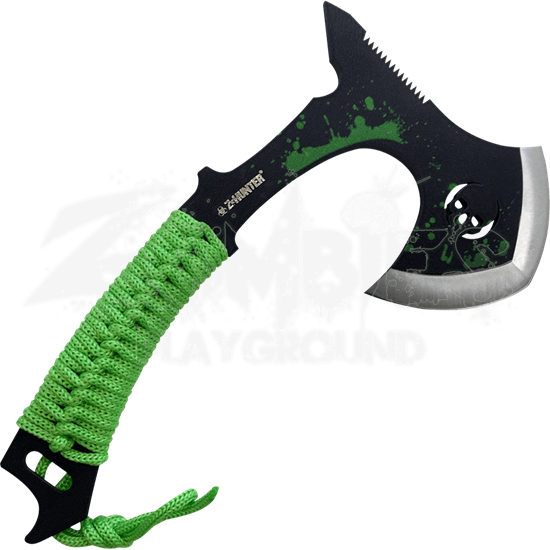 Wrapped in neon green cord, the handle stays firmly in your hand as you use this multi functional axe, while the skull cut out and green spatters offer apocalyptic appeal. 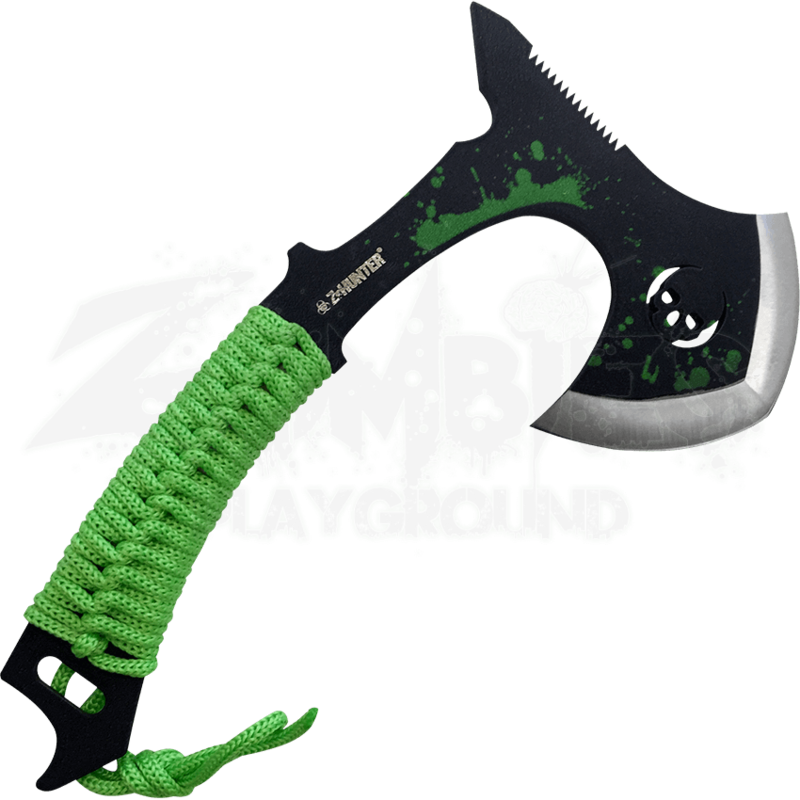 Pull the Zombie Hunter Hand Axe out of its nylon sheath to unleash your fury onto your undead enemies.